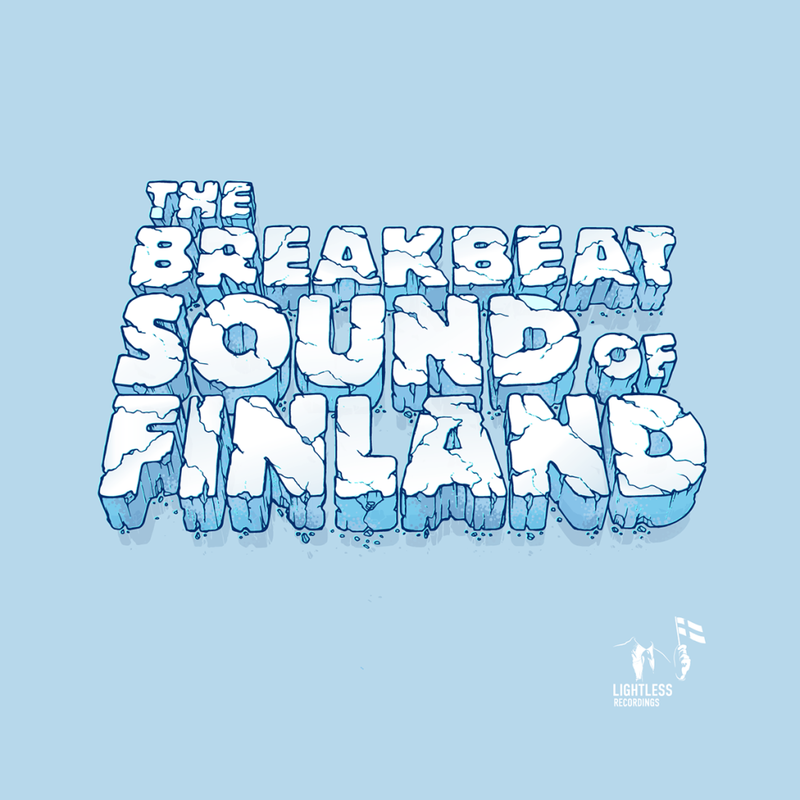 Lightless Recordings presents: The Breakbeat Sound Of Finland Volume 1. A compilation of breakbeat music from some of Finland’s most promising producers. The idea once hit me that I’d try and find Finnish breakbeat music (dnb, non-dnb) that I’d relate to and show it all to the world. As soon as I started contacting people, I realized this was going to come together really well. It was a plan for me for a long time that I would compile an album by Finnish breakbeat music producers to highlight the type of music that gets created in this cold, remote country of ours, but it took me a while before I could initiate it because, as a freelancer and an artist, you always have a little too many ideas waiting to started in the back of your mind. However, when it started rolling, the compilation almost put itself together without me having to do much about it, and I think there was a bit of luck in there as well as almost every track that was sent to me made me feel the “OH yeah!” feeling that I need if I am to put that track on my DJ playlist. It also makes me happy to realize that I think producers who wanted to get involved got the idea of what Lightless represents (there are plans to work with some producers towards a bigger release in the future). What I’m also very happy about is that the artist, Lonekink – who did the artwork for the compilation and who has been doing all Lightless artwork recently – is also living in Finland, so this is as domestic for me as it gets. In terms of the music we make in Finland, I’ve often found that there is something that many Finnish producers share: I think that in the music, you can hear it as a sort of sweet melancholy. A lot of us write music that isn’t very happy (without sounding too desperate either) and I think that’s what we are pretty good at – because it comes out naturally. We’re not always “the most smiling nation” and in a crowd, we won’t be the first ones to strike a conversation – even though inside of us all we’re kind and friendly. You just have to get to know us, that’s all. Sometimes it may take a drink or two but hey, from there, it’ll be uphill all the way. I can say I am extremely proud of the bunch whose music I have the honor to be releasing. There are 14 tracks that I really like, and I believe in all of the producers who are on the album. Many of them are active contributors to the dnb scene in Finland, which is great. I didn’t want to put myself there at all as I always have enough projects of my own, so this is only about the others, and I think all these guys really deserve the chance to be heard, and I wish you do a little research on them if you find their music something you end up liking. I know you can’t really describe music with words very well – or, you can, but it’s almost pointless – so I’ll let everybody hear what’s cooking instead me trying to explain it too much. Finally, it has to be said that nothing makes me happier than realizing that in my very own country, I can find the type of music that I love the most. I find this album monumental in terms of Finnish breakbeat music.